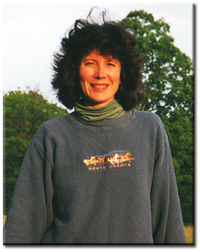 CAROL RAE HANSEN, Ph.D, received her Doctorate from Harvard University in 1985. 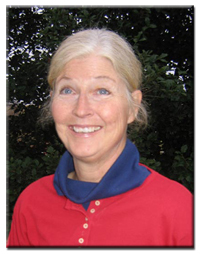 Dr. Hansen is a NARHA/PATH Registered Level Instructor, and is the founder and Director of Equine Therapy Associates. Dr. Hansen completed the Associate Site Visitor training for PATH Int'l. in 2012, and will be assisting PATH centers in achieving their Premier Center accreditations. She has owned, shown, and trained Quarter Horses, Arabians, Palominos, Morgans and ponies for 40 years, and is a graduate of the 4-H Light Horse Project. Dr. Hansen rides English and Western as well as drives horses and ponies. 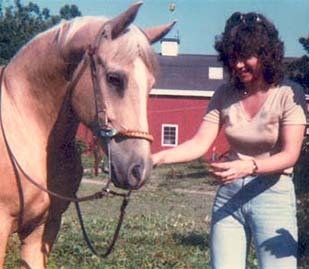 She volunteered at the National Center for Therapeutic Riding for three years before she took the Assistant Instructor course in 1989-1990, which she passed with Distinction. Dr. Hansen passed NARHA's 17-step process for the Registered level Instructor's certification in 1999. Dr. Hansen's strong background in behavioral psychology, frustration and aggression theory, learned behavior and motivation, as well as her strong interest in transferring data to long-term memory infuse ETA's programming with more quantifiable results. JULIETTE SEARIGHT EVANS, AA Dipl. 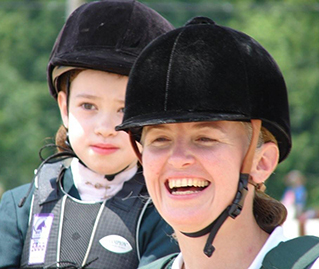 is a NARHA, PATH Int'l., Registered Level Instructor, a life-long horsewoman, and an Associate Instructor at ETA. Ms. Searight Evans grew up in England. She was an active member of the Avonvale Pony Club, and helped train and ride several native ponies under the guidance of her mother, a seasoned horsewoman, and her father, a Master of Beagles. 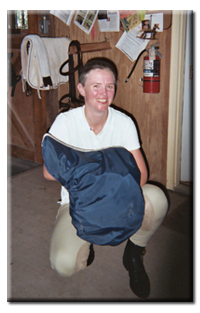 Ms. Searight Evans has a solid understanding of the theory behind safety issues, grooming and tacking, body mechanics, the aides, leading/haltering/working with ponies,equine breeds, health and nutrition, equine first aide, stable and pasture management, and human/equine psychology. She is the mother of a young daughter in our program. Ms. Searight Evan's warm and welcoming personal manner, her professionalism, her concern for the welfare of children, families, and equines, and her gentle spirit epitomize the best of what we hope to always be NARHA's, PATH Int'l. 's image to the public at large. Deb Wilson, of Lucky Star Ponies, offers the 30 animals on our farm quality care whenever ETA's staff cannot be resident on the farm. Deb and her husband farm in northern Montgomery County, and Deb breeds and trains ponies for sale and competition. Mrs. Wilson also assists Second Chance Wildlife in rehabilitation by fostering recovering animals and birds on their farm. She is retired from her first career, a quality control official with the federal government, evaluating the funding of programs offered to the mentally and physically challenged. Elizabeth Kent was ETA's NARHA, PATH Int'l., Mentored Registered Level Instructor candidate; she has been awarded her Registered level Instructor's certification. Elizabeth has extensive experience with children, and pursued education and psychology at the college level, graduating in 2010. 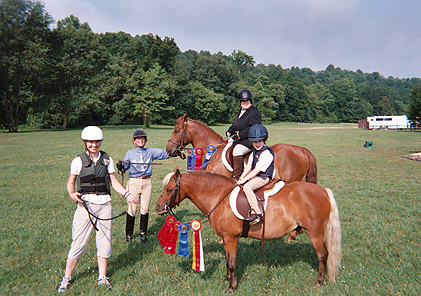 Elizabeth rides and shows dressage, hunters, and jumpers, as well as events. 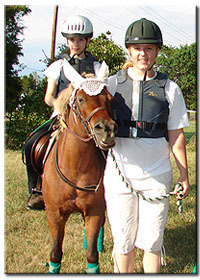 Ms. Kent's coordinated ETA's Ground School, and taught Pre-Riders, Early Riders, and the non-challenged beginners. Miss Kent studied with Dr. Hansen for 10 years, and assisted in the practicum for ETA's riding theory book, forthcoming 2012. Never let school get in the way of true education!